Can I have the template Please. Why is it being done with sends? 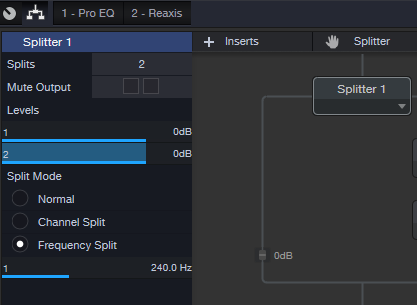 Studio One FX Chains have a native frequency split option. Routing to 4 sends with solo’d multiband compressors is clunky by comparison. By splitting the bands 4 ways using the native splitter, you can have all of your FX for each band sitting on just one track. 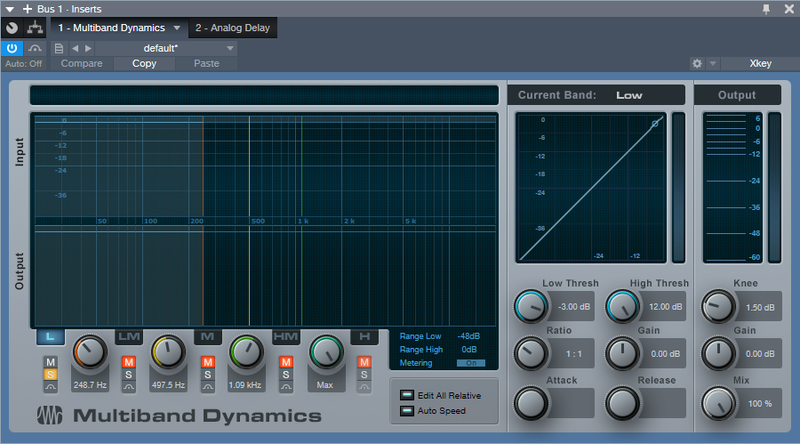 You can also then save it as a single chain preset to use on other tracks and projects as well. Please send me the templates jruckers@gmail.com @sagisinai:disqus please and thank you. Hey everyone, whoever left a mail here in the discussion, I sent him 2 templates – one with stock plugins, mostly based on Fat Channel, and the other template is based on Waves plugins. If anyone else wants the templates, feel free to leave a mail here. I’d appreciate that template as well Sagi…. thanks in advance!! That is really, really clever. One of the best aspects of doing these tips is when people take them to places I’d never even considered. Well done!! chris.rauser@hotmail.de if you do not mind :))) Would be highly appreciated!! thanks! As you can see in the pictures, I incorporated the system with several stock plugins like the Fat channel, gate, and binaural pan. 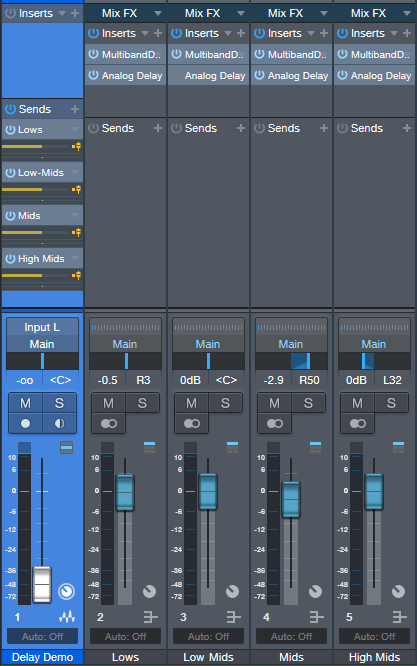 With this functionality, I can control each important aspect of the mix in a matter of seconds. Each bus have a different EQ or compressor, according to the frequency range it represent. For example, I use the Passive EQ from the fat channel on my Low bus, and assigend macro controls only for the low frequencies adjustments. In the Low Mids and Mids, I used Vintage EQ, and used only the LMF boost, and set the EQ to 360Hz and 700Hz respectively. If any one wish to recieve the template, just leave your mail here and I will send it to you. Can you elaborate some more on this? It sounds interesting and creative. 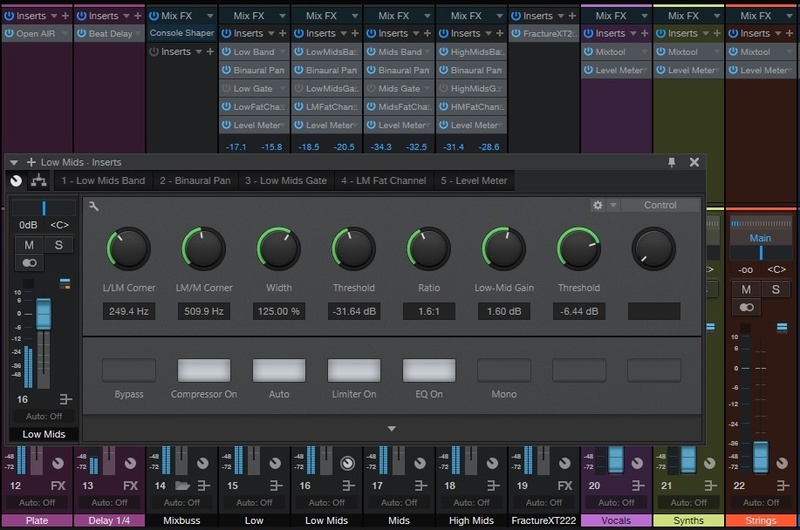 After reading this post, I created a mixing template combined with Fat channel, Macro Controls and this method. It took me JUST AN HOUR to mix an entire track with this method. Thanks!